My doctor told me I should cut down on in-between meals. I told him I don’t know what in-between means. I’m just kidding. I don’t have a doctor. Yeah, those candy hordes are ruthless this time of year. 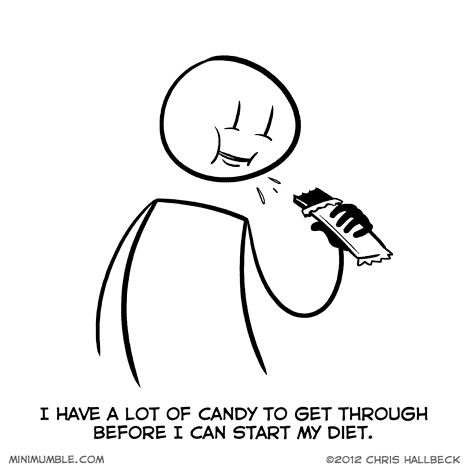 kinda reminds me of a friend that was trying to lose weight so she could go on vacation and eat like crazy.